What is it about luxury train travel that conjures up feelings of nostalgia, romance and a time long gone by? For us it is the relaxing click-clack of wheels travelling along the tracks, the gentle rattle of the carriages and the feeling that the journey is more important than the destination. 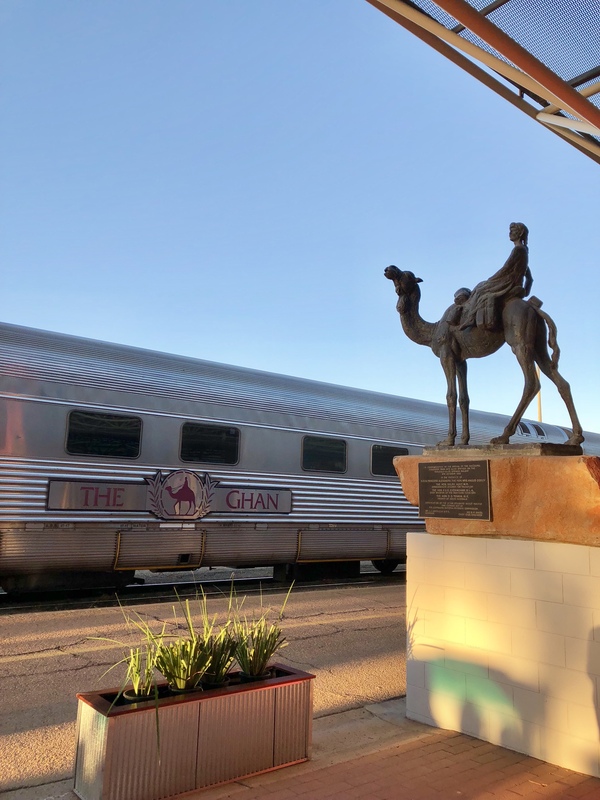 One of the best ways to experience this is on The Ghan, one of the world’s great train trips which travels straight through the red heart of outback Australia. The epic 54 hour journey, traversing over almost 3000 kilometres between Adelaide and Darwin is not to be missed trip. Over three days and two nights passengers are treated to luxurious quarters and fine dining while watching the peace and beauty of the Australian desert go by. The train itself is 30 carriages long and guests can choose from a range of accommodation options, including the beautiful platinum carriages or Chairman’s carriage which can be booked for private groups of up to eight. Gold and Platinum guest enjoy private berths that go from lounge style during the day to full-sized comfortable beds in the evening and boast private ensuites. The Queen Adelaide dining car serves up delicious regionally influenced dishes and the Outback Explorer bar is the perfect place to enjoy a pre-dinner drink with fellow passengers. Travelling from Adelaide to Darwin there are two stops along the journey, at Alice Springs and Katherine, where Gold and Platinum guests can enjoy inclusive activities. We chose the Simpsons Gap Discovery Walk and upgraded to the Nitmiluk Gorge helicopter ride at Katherine, both of which were spectacular. Part of the fun of the journey is mingling your fellow travellers, however for those who enjoy the option of privacy and peace choose the Platinum carriages where you can choose to dine in-room. Travelling on The Ghan isn’t cheap, however for the once in a lifetime experience, wonderful friendly service, quality cabins and great dining and drinks it is worth the price. Arriving in to Darwin after the three day journey, nothing beats enjoying a Northern Territory sunset overlooking the bay. For more information on The Ghan visit here. Virgin Australia flies from Australian capital cities to Adelaide and Darwin. Can’t make the trip but want to see more? SBS’s epic ‘Slow TV’ three hour movie length feature on the journey is available here. Lovely blog eatliveescape.com. Captures the trip beautifully. Stunning photos! We did this trip several years ago and loved it. I would love to do more trips by train. Great photos!